Blutip Power Technologies “Blutip” is a private corporation that was formed in 2012, following the asset acquisition of a prior company. Blutip is headquartered in Mississauga, Ontario, Canada with a subsidiary location in Brisbane, Australia and has employees located in Canada, Australia and South America. Blutip provides control solutions that save fuel, improve operations and reduces the emissions of high horsepower engines. In addition to its control technology, Blutip has also developed unique data analytics providing fuel savings and engine usage data that provides strategic feedback on the performance of individual truck and overall fleet management. 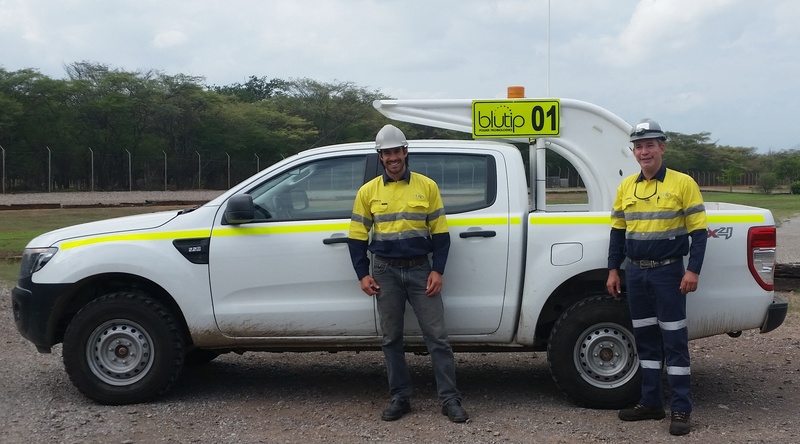 Blutip is quickly establishing itself as a leader in the global open-pit mining industry and is currently working with six of the world’s largest mining companies. With our proven track record, innovative and creative R&D team, Blutip is set to take our technology beyond mining into the power generation market, setting the stage for future market expansion. Blutip currently markets it product, utilizing our internal global sales team, through direct sales and marketing to mining customers. Blutip is also expanding commencing use of distributors for other markets (e.g., Power Generation). With over seven worldwide patents and patents-pending, our team of engineering professionals have over 200 combined years of experience in mechanical, systems and software engineering and are focused on the design and development of innovative solutions for our customers. Blutip Power Technologies is committed to providing exciting, challenging and rewarding work opportunities built on a foundation of company values and strategic objectives that recognize the importance of strong relationships with employees around the world.